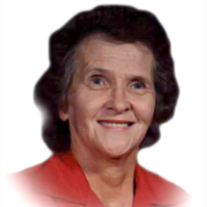 Ruth Jorgensen Gittins, 96, passed away Friday, February 1, 2019 at Autumn Care in Hyde Park, UT. She was born October 26, 1922 in Logan, Utah a daughter of Royal Elred and Bernice Ellis Jorgensen. She grew up in Amalga and graduated from North Cache High School and LDS Seminary. She married Leland Keith Gittins on October 23, 1946. Lee passed away unexpectedly in 1985 leaving her a widow for the rest of her life. Always a hard worker, Ruth and her husband operated several farms during their lifetime together living in Montana, Idaho, and Utah. Later, she worked as a cook in the Mendon Nursing Home and for the Cache County School District lunch program. A beautiful seamstress, she has always loved making things with her hands. Ruth enjoyed quilting and made many lovely quilts and afghans for her posterity. As a faithful member of the Church of Jesus Christ of Latter-Day Saints she has served in many callings and faithfully attended the temple. Ruth and Lee raised a family of eight children: Bruce (Lynette Willoughby), Claudia (Doug Larsen), Kim (Jenae Murray), Tamara Seamons, Monte (Sanda Bradshaw), Lyle (Cleone Petersen), Valerie (Frank McAlister), and Lance (Mandy Hoth). At the time of passing Ruth had 24 grandchildren and 48 great-grandchildren. In addition to her large posterity Ruth is survived by her sister Noreen Cronquist and brother Keith Jorgensen. Funeral services will be held Wednesday, February 6th at 11:00 a.m. at the Wellsville stake center, 30 S Center St., Wellsville, UT. There will be viewings Tuesday, February 5th from 6:00 to 8:00 p.m. at the Allen-Hall Mortuary, 34 E Center St., Logan, UT and at the Wellsville stake center from 9:30 to 10:30 a.m. Wednesday before the funeral. The family will be eternally grateful for the loving care and friendship which Ruth received at Autumn Care during the last few months of her life.